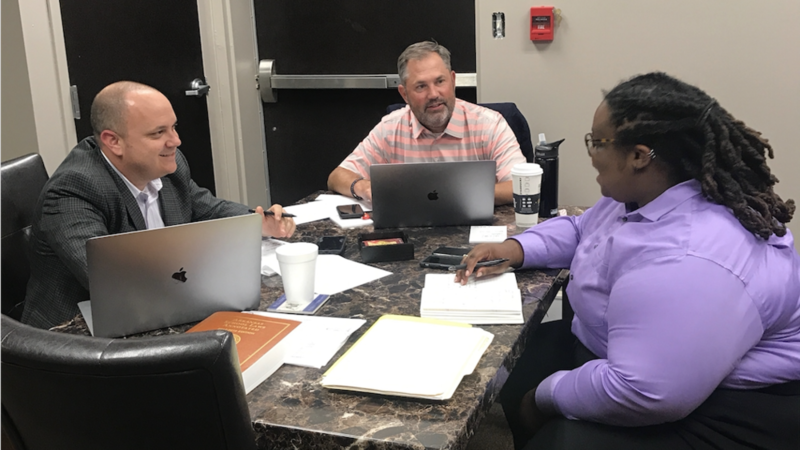 Superintendent Mr. Nathan Morris, Chief Learning and Financial Officer Dr. Matt McClure, and DCAN Director Ms. Laurie Brown, have big plans for the College x Career x Choice Program at Cross County. The College x Career x Choice (C^3) Program has been growing since its inception in 2014. Originally created to ensure that Cross County students are college and career ready by graduation, the C^3 program has expanded to include innovative experiences and opportunities for students previously believed to be out of reach. One such recent addition is the Virtual Internship program in place for all Juniors. Students are paired with an internship provider, a professional who is currently working in the student’s desired career path, to meet with weekly. Since the internship is virtual, or online, students can be paired with providers throughout the country. This allows Cross County students to expand their network outside of Cherry Valley and overcome the obstacles that come with growing up in a rural location. Students and internship providers work together throughout the internship to create a project and grow the student's professional skillset. Past internship providers include a financial advisor from J.P. Morgan in New York City, a marine biologist in Galveston, a psychologist in Tulsa, and an advertising scout at Google in Ann Arbor. Mr. Morris, Dr. McClure, and Ms. Brown are working together to expand Virtual Internships by sharing their professional contacts. The current Junior class is scheduled to begin their Virtual Internship experience in early October and are aiming to produce the best Virtual Internship projects yet. Together, district leaders, professionals, and students are putting the C^3 Program at Cross County on the map.